Muslim doctors across Northeast Ohio are pooling their skills to bring free healthcare to those who cannot afford it. 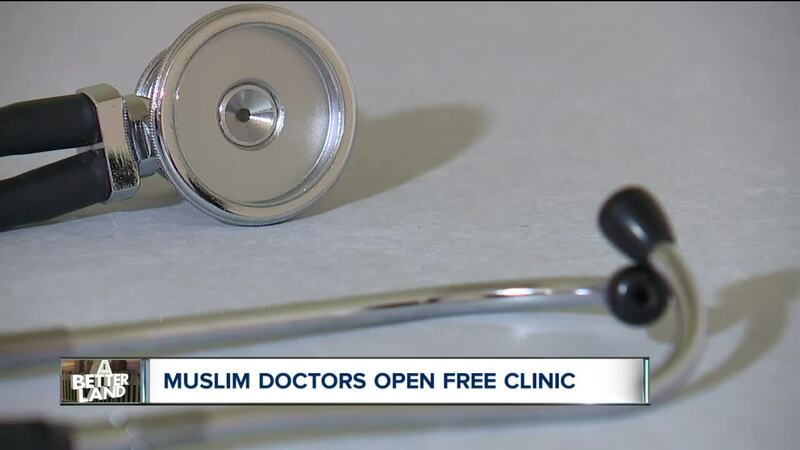 PARMA, Ohio — Muslim doctors across Northeast Ohio are pooling their skills to bring free healthcare to those who cannot afford it with the opening of a free health clinic. The Cleveland Ibn Sina Clinic in Parma has only been open for a few weekends and already, more than 30 patients have come through the doors. There is no co-pay, no bill in the mail later and no cost whatsoever. Just a few months ago, it served as storage space in the Islamic Center of Cleveland. But through renovation and donations, the free health clinic now houses two exam rooms, a reception area and a waiting room. Twenty physicians have already committed to volunteering their time and talent. Hala Sanyurah said it is a way for the physicians to give back to their community. “A lot of the doctors came here from foreign countries outside the United States looking for better opportunities. Now that they are established, some of them are practicing with hospitals, some of them have their own practice, now they want to come together and give back to the community,” Sanyurah said. The most unique thing about the clinic, Dr. Ahmed said, is that they will not only deal with primary care health issues, but address sub-specialties like asthma, diabetes, sleep disorders, mental illness. and more. Although the clinic is largely Muslim-run, it is open to everyone and anyone who needs care but is uninsured or underinsured. The Cleveland Ibn Sina Clinic is holding a grand opening Wednesday, March 27. It is located inside the Islamic Center of Cleveland on 6055 West 130th Street in Parma. It will be open on Saturdays and Sundays from 9 a.m. to 2 p.m.